In 1992, the Smithsonian Institution National Air and Space Museum opened a special exhibit celebrating 25 years of Star Trek. 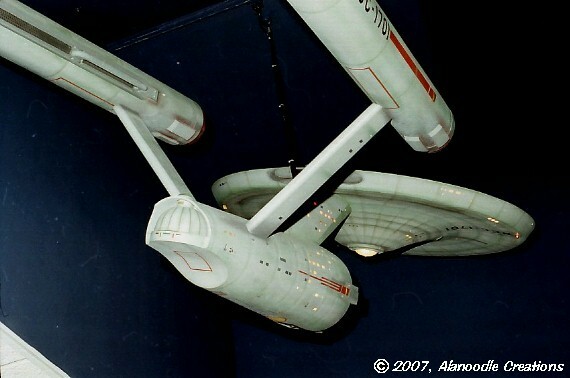 As part of that exhibit, the 11 foot filming model of the Enterprise was restored by Ed Miarecki of Sci-Fi Modeling Associates. Ed re-wired, re-lit and re-painted the big model and replaced incorrect or missing parts to get it to look as it did in the 1960s when the show's effects shots were filmed. 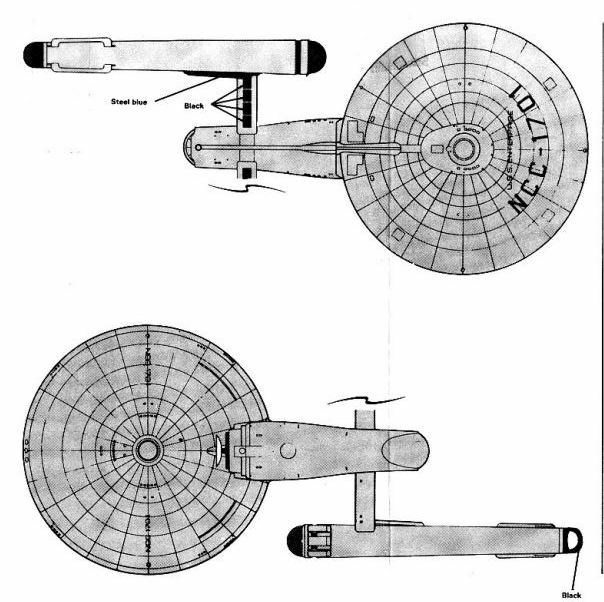 Since I was also conducting a restoration of sorts, I wanted to get a look at the newly restored model with the idea of further improving the accuracy of my own Enterprise. In late 1992, I returned to Washington DC and took a lot more photos. The latest restoration left the Enterprise looking much different from when I last saw it in 1989. 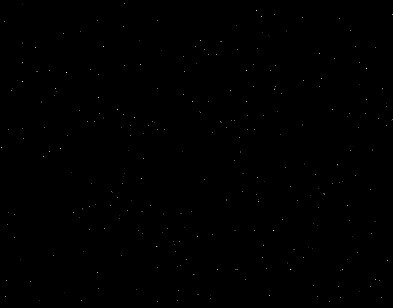 All of the lights were lit and it was nice to see the spinning warp drive effect working. New parts and details were fabricated to correct inaccuracies. Most notably, rather than being painted a single, unbroken shade of gray, the big model now sported a multi-tone paint job, showed some weathering and had a prominent network of grid lines covering most of its surface. 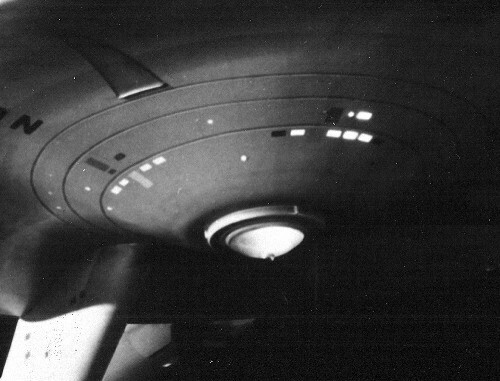 Visible in these photos are the controversial "Deflector Grid" lines on the saucer and lower hull. These grid lines became a major source of discussion among Trekkies after the 1992 restoration. As can be seen in the the images from chapter 2, these grid lines did not appear on the big model prior to this restoration. The entire surface appeared to be a uniform gray without any signs of weathering or variation in color. In the days of Standard Definition Television, even when viewing "restored" prints of old Star Trek episodes, I was never able to make out any grid lines on the Enterprise. The surface of the ship always appeared smooth and mostly featureless. Most of the drawings and blueprints that have been published including the AMT kit's own decal placement guide show these grid lines on the saucer top and bottom. 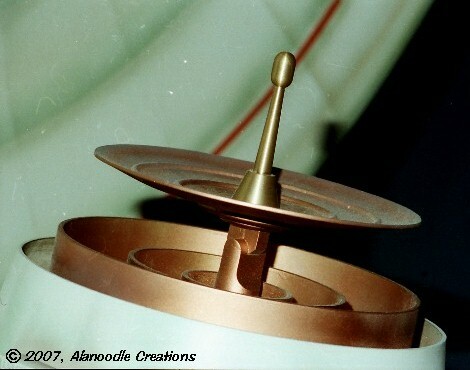 To confuse things even more, the kit had those raised grid lines but on the saucer top only. The depiction of the grid lines on the big model led to some lively discussions on internet forums and some unfair bashing of Ed Miarecki's restoration work. 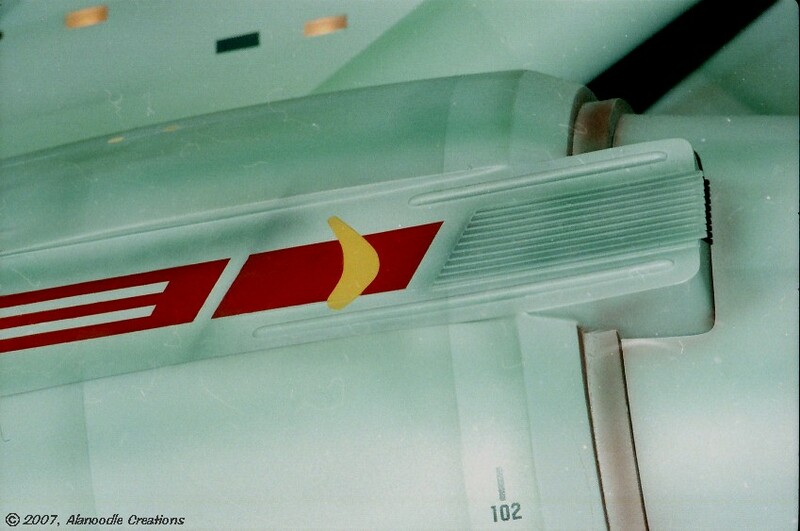 The question remains whether these lines were there while the big model was being filmed or if they had been added by a later handler of the Enterprise between the time the show ended production and when the model was acquired by the Smithsonian. 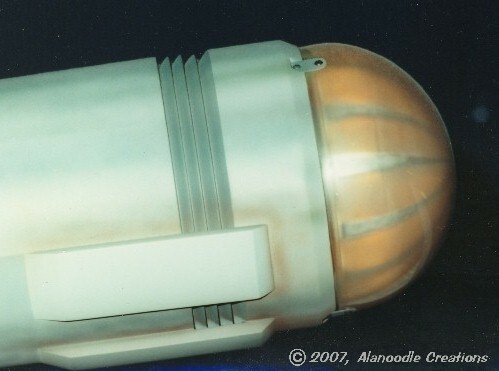 Finally, after around 2008, long after the completion of this project, pictures of the big model taken during the show's production began to circulate on the Internet. Some of the images were from a set of black and white publicity stills mentioned in chapter 2. These sharply detailed pictures showed the model in all its glory, fully lit against a starry background. One image was taken from the front and below the model. A cropped version of the image appears on the right. Now we know. Let's move on. As for any photographic evidence, it was tough to come by in 1992. Until the internet became what it is today, there wasn't a lot of resource material available. The best images published in print were usually screen shots photographed directly off of a TV screen or grainy black and white stills. Mr. Miarecki documented his restoration work with many photos, one of which shows a finely drawn gridwork over the entire top surface of the saucer. 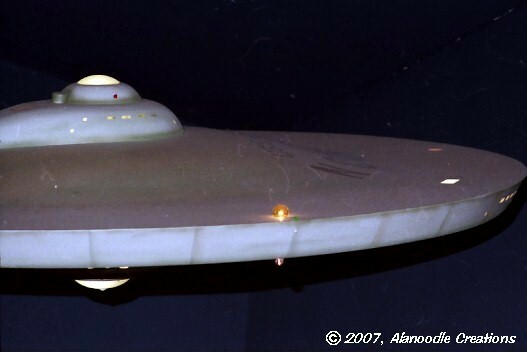 For preservation purposes, the saucer top had never been painted or altered by the Smithsonian since they acquired the big model in the early 1970s. Another image is a close-up of a small portion of the saucer's bottom where some paint had worn away revealing faint radial lines. These and other photos taken during 1992 restoration can be seen on this page on the "Modelers Miniatures and Magic" website. In September 2014, the 11 foot filming model was removed from its most recent display in the Air and Space Museum's Gift Shop for yet another restoration to be completed in time for Star Trek's 50th anniversary and the model's 2016 inclusion in the museum's Boeing Milestones of Flight Hall. The restoration complete, the Enterprise is now displayed alongside other such historical artifacts as the Wright Flyer, the X-1 rocket plane Glamorous Glennis and the Apollo 11 Command Module Columbia.